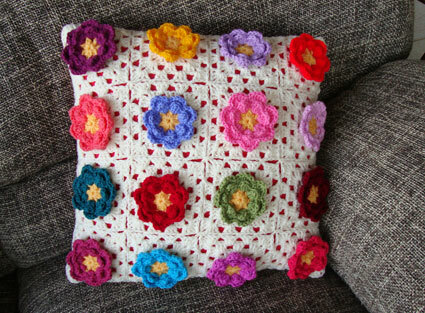 Fleurs du Paradis: The last cushion before 2011! 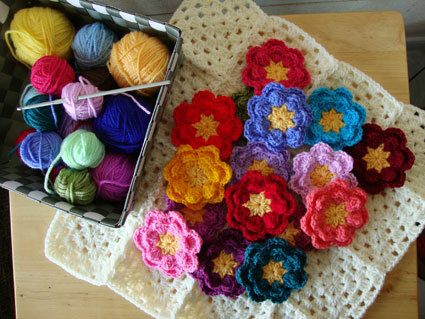 Home/Crocheted cushion, Uncategorized/Fleurs du Paradis: The last cushion before 2011! Hello Angie! I hope your daughter is better! 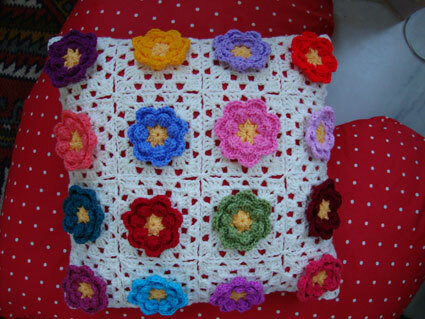 Your flower cushion in so beautiful and sweet! I wish you too Happy New Year and lots of new crafts and creations! 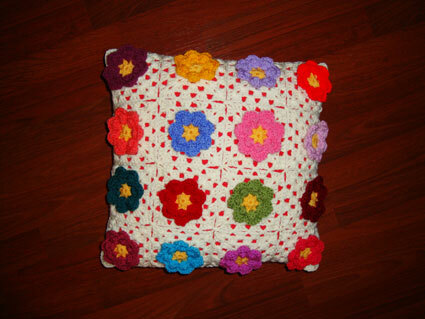 Hi Angie, another lovely cushion! All the best for a happy and healthy new year. 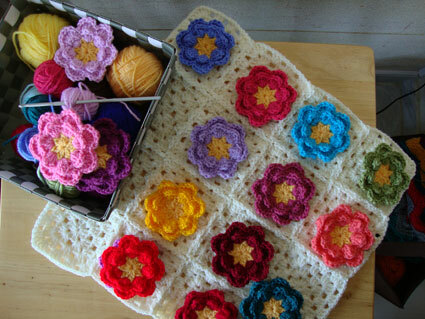 i love this Colours so much…what a very great and beautiful cushion!!! I wish you and your Family a Happy New Year and all the Best! I very MUCH love your Fleurs! 🙂 I think I especially liked seeing them all willy-nilly before you attached them to the cushion. And loved your little box of colorful yarn – like a box of crayons. Well done, you! Looks just beautiful. Happy New Year! Oh Angie, un coussin qui porte bien son nom : il est de toute beauté. Gros bisous pour une bonne nuit. Just beautiful. Wishing you a great 2011. 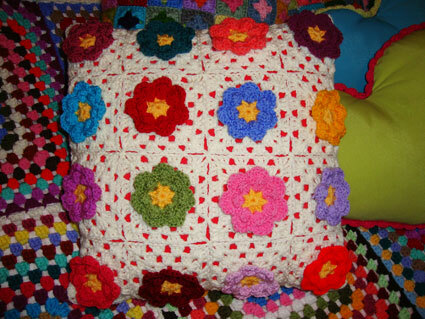 This is really the most flowery cushion! I love it; it is so bright and sunny. Makes one really feel as if in paradise. Great. To you and your family I wish a great and healthy 2011. Hello Angie! I want to give you The Stylish Blogger Award! You are welcome to take it from my blog! 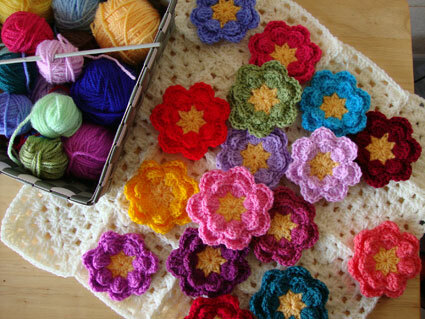 Amazing flowers, crochet and colours! Happy New Year, I have just found you from Teje’s blog. Beautiful site. 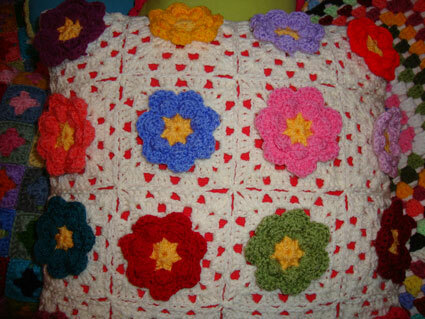 That’s another beautiful cushion, I love it! Happy New Year to you and your family!